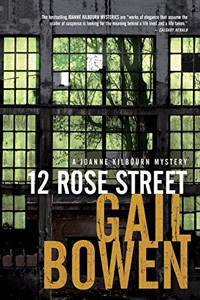 12 Rose Street by Gail Bowen: Synopsis and Online Purchase Options. Synopsis (from the publisher): Joanne's husband Zack is the leading progressive candidate in a neck-and-neck race, with the existing mayor, for Regina's top job. The tough campaigning is well underway when a disturbing threat disrupts the celebration for the opening of the Racette-Hunter Centre — a project Zack has been spearheading, intended to benefit the impoverished community of North Central Regina. Joanne soon realizes that sinister interests are working behind the scenes of the election, and another savage act makes clear that someone will stop at nothing to maintain the status quo.